San Pedro Creek is the drainage system for the majority of the Linda Mar and Park Pacific neighborhood. 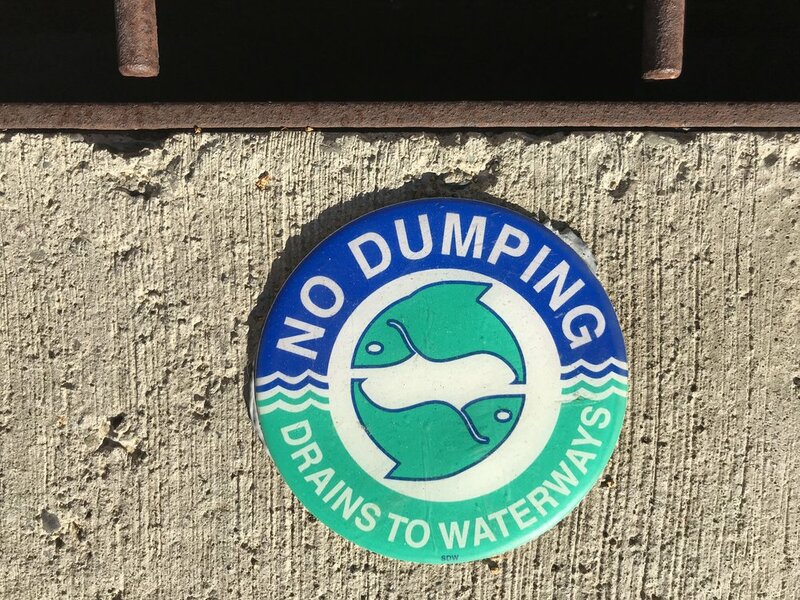 Almost all of the storm drains associated with residential development in the watersheds empty into the Creek - this means the rain that falls on our roofs, backyards, driveways and streets makes its way to the gutter, down the storm drain and to the creek. Since this water is untreated, any and all pollutants and contaminants get picked picked up and end up in our creek and then the ocean at Linda Mar Beach. Although San Pedro Creek is not the only source of pollution to Linda Mar Beach, it is a significant contributor. This contribution has led Linda Mar Beach to be one of the dirtiest beaches on the West Coast, placing number 3 on Heal The Bay’s 2017-2018 Beach Report Card located HERE. 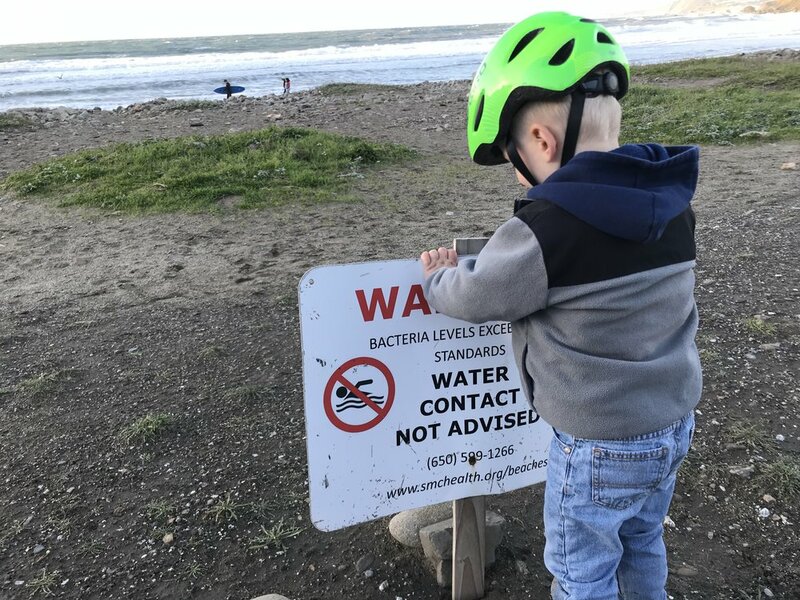 San Pedro Creek and Linda Mar Beach are also and tested weekly by the San Mateo County Health Department and more often than not, found to be unsafe for human contact. Their weekly reports can be found HERE. Upland erosion and failing stream banks, exacerbated by rapid runoff from hard surfaces in residential areas, contribute excessive sediment, which can be harmful to steelhead and other aquatic organisms, and threaten property along the stream. 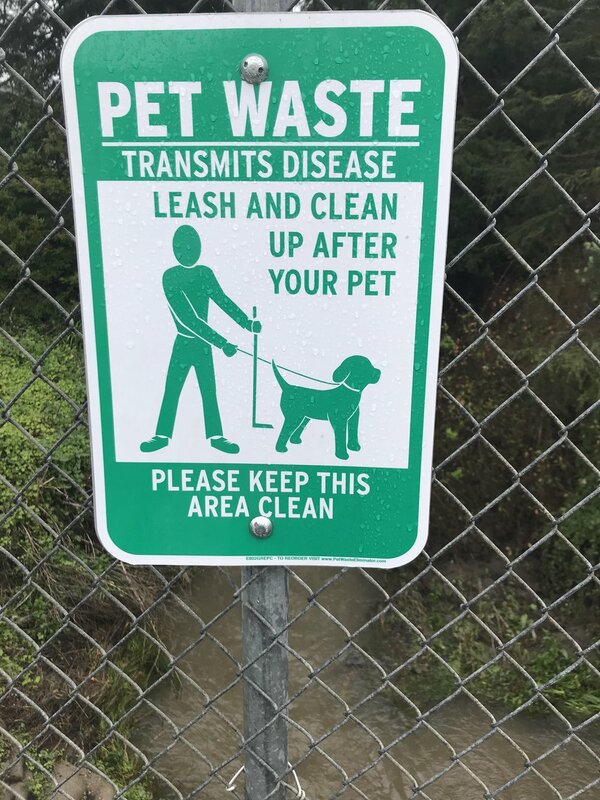 Bacteria found in dog, horse, deer and bird excrement have been found in the creek. 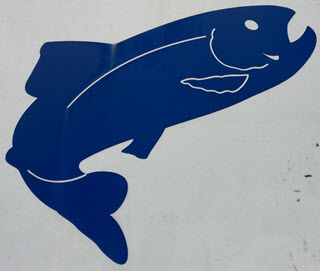 Although not problematic for fish, they pose a hazard for humans who come in contact with the water. Although the amount is unknown, the presence of bubbles and foam on the water surface during the “first flush” and isolated events has been documented and is an indication of this type of pollutant. Soups and detergenst typically come from the washing of cars on the street or leaky sewer laterals and mains. Pesticides, herbicides and fertilizers can wreak havoc on an ecosystem and typically come when rain transports these compounds from lawns and backyards into the storm water system. Fertilizers can with too many nutrients that can lead to algae blooms and fish kills. Herbicides and pesticides can be poisonous to all aquatic organisms. Road oil and grease, brake lining other automotive pollutants accumulate on the roads during the dry season, to find their way to the Creek after the first few rains of Winter. These materials cause immediate problems for aquatic life and longer term complications for humans. Aging and leaky sanitary sewer laterals and mains appear to contaminate the creek with residential sewage waste. Aquatic organism of the Creek have evolved to the cool waters and depend on them for their continued survival. If bank vegetation is removed or dies, more of the sun’s radiation makes it to the Creek’s surface and raises the water’s temperature. If the Climate changes, and the days become warmer with less cool precipitation this will increase the water temperature as well. Because the flows of San Pedro Creek have never been measure, it is unknown how they compare to historical levels. But in Climate Change scenarios with less fog, less rain and more sunny days - the arithmetic will simply put less water in the watershed each year and flows will reduce.